We have great pleasure to introduce ourselves as the leading Manufacturers and Exporters for FINE-O-FLEX PVC Hoses & Distributors for Rubber Hoses . Ours' is a pioneer house having 75 years of market leadership with operations extending through out India & Abroad for genuine quality at competitive prices. clientele and we have satisfied the needs of our existing customers through competitive price & prompt delivery schedules. While we take this opportunity to be service to you, we wish to inform you that any enquiry big or small will receive our utmost attention as we consider a satisfied customer as our main asset. 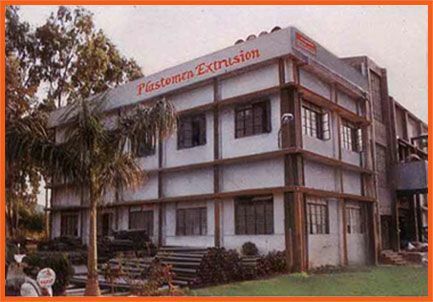 • We are the world class manufacturer of PVC Suction,Braided,Reinforced & Industrial Hoses, with an annual capacity of 5 million meters, was established in the year 1985. • We have a Total area of 60000 Sq.ft. along with the production area of 15,000 Sq. ft.
• Geographically, our unit are well connected by road, rail, international airport and sea port of Mumbai. • Hose manufactured to global standards is tested in well equipped in house lab as well as at our other test houses of international repute. • Over the years, the company has built its reputation and has registered as a high quality OEM supplier catering to Global Markets.